Enjoy it while it lasts…plan your next Fall adventure! 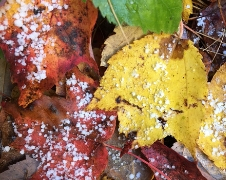 The first signs of snow appeared! Be sure to get out and enjoy the rest of the Fall Season while it lasts. Check out some great SMCC member organization’s upcoming events. Join Us In Being A Part Of A Global Celebration Of Giving!